When piano teachers, parents and students work together the result is a successful and happy music experience. Piano Discoveries is here to provide valuable insights, resources, and encouragement so each person will have the best opportunity for fun and success at the piano. Scroll down to find the various resources offered at Piano Discoveries for teachers, parents, and students. Let us help you establish and maintain an organized, efficient studio. Access forms, templates, documents, worksheets and printables available through our website. Try a FREE membership and receive unlimited free worksheet downloads per month. Do you like the music quote above? Receive our FREE music quote of the day! At Piano Discoveries we believe that every person who has an interest to pursue piano should be given the best opportunity to learn and succeed in their musical development. The ideas, resources, and materials presented at Piano Discoveries are done with the sole purpose of providing each teacher, student, and parent with the best opportunity for success. The Teacher section is designed to provide a wealth of information, resources, and products to make your studio the most effective and rewarding experience it can be for you and your students. Download worksheets and printables to use in your studio, including: Studio Documents, Visual Aids, Lesson Materials, Worksheets, Awards & Incentives, and Recital Materials. And, enjoy additional resources such as game ideas, music dictionary, and blogs. The Parent & Student section is designed to provide insights and resources for both the parent and child. 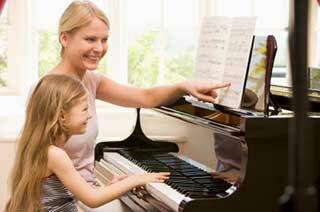 Parents can learn how to easily and realistically participate in the student's piano experience. Students will find ideas for how to make practicing enjoyable and full of quality. Enjoy fun games to play together, and make use of our music dictionary to look up terms, symbols, and definitions. Come back frequently to see the new and exciting additions to Piano Discoveries!